One of the ways I plan to help some small businesses in my community is by sharing their promotions. Last year (as seen here), I had a mix of businesses that provided products and ones that provided services. This year, I've narrowed my focus to businesses that provide a service. Plus, I added a section for non profit recognition. Many small businesses that know about Support Small, Shop Small, or also known as Support Small Business Saturday, typically will host a sweet deal on the day of the event. In this blog post, all small businesses featured have offered their amazing deals through the end of this calendar year!! BTW, there is no reason waiting until 11/29; these promotions are available starting today! They do have expiration dates though. All of them are through 12/31/14 except for one which expires 1/15/15. ENJOY!! The Yoga & Massage Center of Ridgecrest would like to offer you a special discount for supporting our local business during this Holiday Season! Our center offers Professional Yoga Instruction and Therapeutic Massage to our community. For your support we are offering a 10% discount on our Gift Certificates until January 1st, 2015. To redeem your discount visit our online store and enter this special Promotional Code: CONVEY2. Like and Follow The Yoga & Massage Center of Ridgecrest on Facebook. Maggi Cerutti received over 700 hours of combined classroom and clinical hours at Bellus Academy in San Diego, California. Maggi has been serving the Ridgecrest area for over two years and she specializes in Deep Tissue and Therapeutic Massage. As a small business owner and operator, Maggi values her customers. To show it, she is offering a Free Hot Stone Add-on ($20 value) to any appointments booked between now and January 15, 2015. Treatments are done at 130 S China Lake Blvd (inside Acupuncture Center of Ridgecrest) and appointments can be booked by contacting Maggi directly at 760-532-8702. A regular one hour session is $55. Offer is unlimited; simply mention code ICA-hotStone. 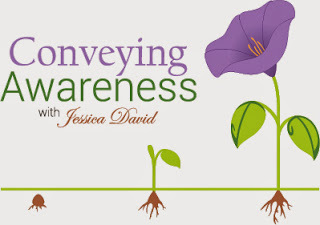 Jessica David, owner and author of the iConveyAwareness blog, and certified health coach of Conveying Awareness, offers your 5th nutrition consult for free when you prepay for a 4-pack! You must pay in full by 12/31/14. Conditions apply; no cash value. Mention ICA_4for5Deal. Quick link to pay here. What a fantastic way to get a jump start on your wellness goals in the new year! Like and follow Conveying Awareness with Jessica David on Facebook. Handcrafted Honey Bee is a business run by work-from-home “momtrepreneur” Stacia Guzzo. 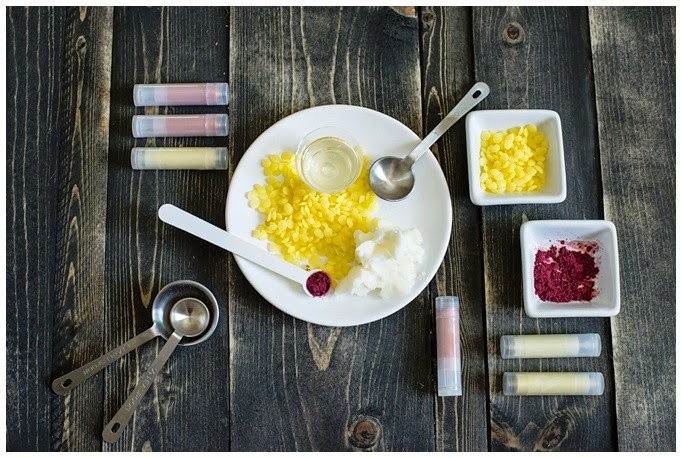 Handcrafted Honey Bee sells Do-It-Yourself beauty and skin care kits that take all of the guess work out of DIY—each kit comes with pre-portioned ingredients, full color instructions, and the ability to customize each according to color, flavor, and scent preference. You can even substitute ingredients due to allergies as well as include other add-ons options to help enhance your DIY experience. Save 10% with any order over $30 at Handcrafted Honey Bee through 12/31/14. Discount code: ICA_DIY. Like and follow Handcrafted Honey Bee on Facebook. Lori is a Licensed Oncology, Manual Lymph Drainage Therapist. Lori has been a massage therapist for over 15 years. Other services include Hot Stone Massage, Swedish and Deep Tissue massage, Chinese Cupping, Acupressure, Ear Candling, and Aromatherapy. 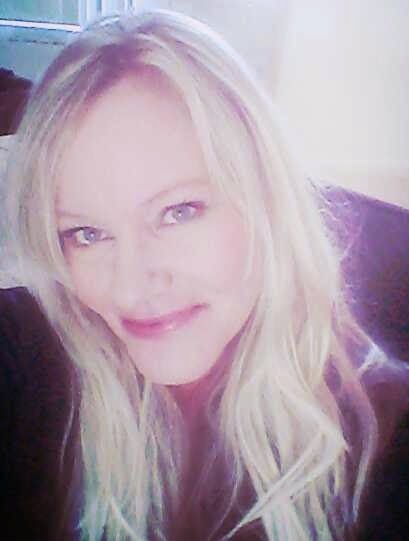 Lori will provide you with a complete relaxation & pampering experience. She is able to meet each of your unique needs achieving harmony and balance. Buy three (1) hour massages for $110. Hot Stones and Deep Tissue included upon request. Gift Certificates are available for this offer until 12/31/14. You must mention the discount code: ICA_3For$110. Contact Lori direct at 760-485-0378. Like and follow Massage by Lori on Facebook. Did you notice it? Did you notice that I said everyone featured offers a service but yet one business shared a product? The Handcrafted Honey Bee (HHB) product is kind of like a service because it's something you'll do-it-yourself and she offers tutorials and other classes in her area. If you're in Tehachapi or surrounding areas, give her page a like so that you can learn about the happenings in her community. She also offers retreats throughout the year. I attended her first last month and had a blast! I met so many other inspirational self employed businesses. HHB is the full package! The Yoga and Massage Center is a brand new business in Ridgecrest. Angela Cooper, owner, is an expert in her profession. I know Yoga is a life long learning affair with the practice but where she is at in her journey, it can be felt a mile away. She is kind, compassionate, and you can really tell that she loves what she does. This matters to you as the consumer. Maggi Cerutti offers massage from the Acupuncture Center of Ridgecrest which makes it a great partnership. She enjoys working with clients and has started offering complementary massages at In-Shape on the second and fourth Wednesday of every month. She will be a vendor at the first annual Petroglyph Festival on 11/15. Come ask about her. BTW, she and I will be sharing a table. One of the benefits to Lori's massages is that she is trained in lymphatic drainage. I had the pleasure of her working out some congestion that is unfortunately, being stored in my lymph nodes. She is also trained to work with oncology patients. If you're interested in learning about the rest of her skill sets, I recommend connecting with her on Facebook or calling her direct. All of the women mentioned above represent a holistic mindset through therapy and lifestyle adjustments. They all are embracing several sustainable practices in their own wellness journeys. Remember that wellness is multi-faceted. Beauty is primarily an inside job but what we do to our outsides can impact what's going on inwardly. I encourage you to learn something new about yourself today. Try one of these services. Learn about ingredients in personal care products and food. Don't be afraid to ask the tough questions. Research. Cross reference. Advocate for your own wellness! 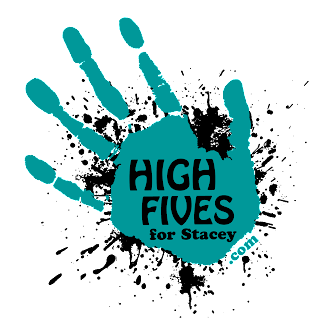 High Fives for Stacey Inc. is a non-profit serving families with special needs. We desire to assist families seeking non-traditional treatments and therapeutic programs, from custom jogging strollers to unique therapy options often denied by insurance. We also provide support and community gatherings. Look for our soon to be released event calendar for 2015 for opportunities to get involved as a supporter or recipient! We can be found at www.highfivesforstacey.com. Contact email is Shannon at highfivesforstacey @ gmail.com (remove spaces). You’re encouraged to shop at Shannon's Etsy store for 20% off your purchase through 12/31/14. Discount code is: ICArocks. Like and follow High Fives for Stacey on Facebook. 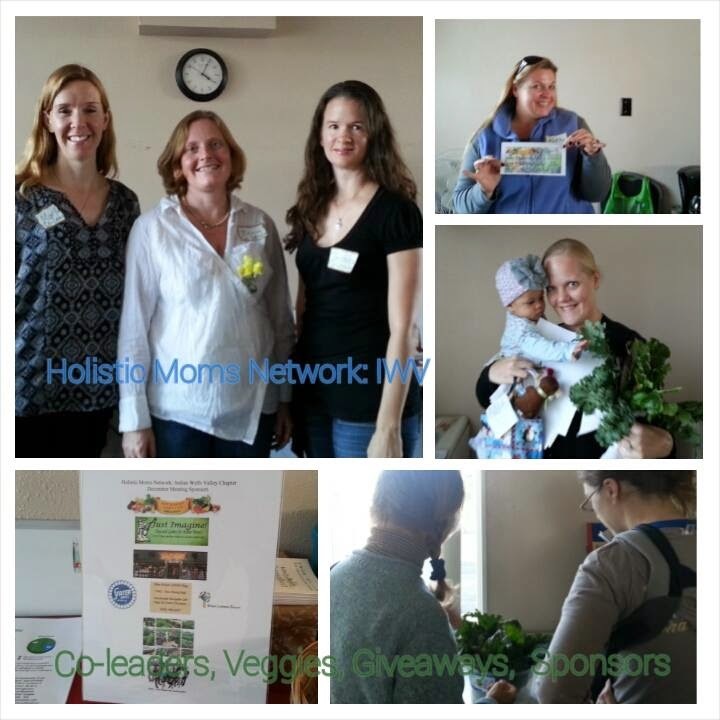 The Holistic Moms Network is a rapidly growing national non-profit organization connecting moms who are passionate about holistic health and green living. Moms, dads, grandparents, partners, and other caregivers are all welcome to join. The Indian Wells Valley Chapter will be meeting on the second Saturday of each month, from 3:00 – 4:00 pm, at the Grace Lutheran Church (Room 6), and welcomes volunteer guest speakers on a variety of holistic lifestyle topics. We are launching our new chapter on 12/13/14! Join us! For more information, contact Chapter Co-Leader Jessica David at IWVHMN@gmail.com. 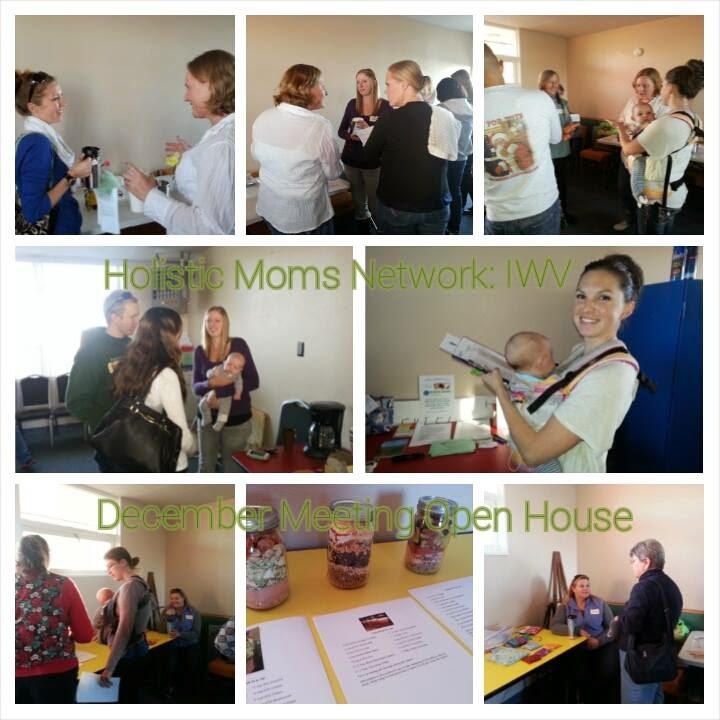 For a calendar of events, visit www.iwvca.holisticmoms.org. If you’re in our local area (Kern County, Indian Wells Valley, Ridgecrest), and would like to make a donation to the success of our new chapter, please get in touch with Jessica at the contact email above. We are seeking safe plastic toys that are easy to sanitize, books, and quiet activities to keep children entertained while their parents learn and interact with a supportive community. Like and follow Indian Wells Valley HMN on Facebook. Update 12/15: Our first meeting (12/13) was a success. We received an outpouring of support from our community! We had numerous donations and we had two giveaways. Our next meeting is on 1/10 and we'll be discussing round-table style, ways to stay healthy. Join us! We are looking for donations to giveaway to our members at each of our monthly meetings. If you are interested in making an offer, message me. If you take anything away from this blog post, I hope it will be to support your small businesses more often - and, not just on Small Business Saturday but year around! If any doubts remain, please scroll back to the top and read the 12 Reasons to Shop Small again. Before you run off to share, +1, or pin this post, please don't leave without commenting with at least one reason why you choose to shop small. Secondly, if you feel so inclined, please like the pages of the businesses featured here, and if you're interested in their service(s), jot down the redemption code (or mention that you saw their promotion on the iConvey Awareness blog) and get in contact with them soonest! We shop small/locally for many of the reasons you shared and also because it really builds community. I have met many new friends through frequenting a local coffee shop and love that we know the owner personally. Love all of the local info you included! We recently moved to a new area, I am interested in checking out Small Business Saturday. Thanks for the reminder, Jessica! If you have HBO, there's an all-day Small Business / Shop Small 'show' on. American Express is sharing videos from the small businesses. I noticed it the other day and then it was again last night. It's pretty cool. Really great info. I used to be a member of HMN for years. Still very close with all of the amazing women I met through our local chapter. Thanks for sharing. That's such good news to hear! I have learned a lot from HMN and hope to share more as a co-leader. This so great. People forget how nice shopping small can be for everyone. I love the idea of shopping local. I do it a lot for many things. What is hard are kids' toys! We have a "local" toy store who carries the 'safe plastic' toys made in the U.S. and mostly Melissa & Doug stuff. I like the store because it's a small business, not a chain, and she offers unique toys that you won't always find in big retail stores. The prices are comparable, too. I try and make it a priority to shop locally as much as I can. 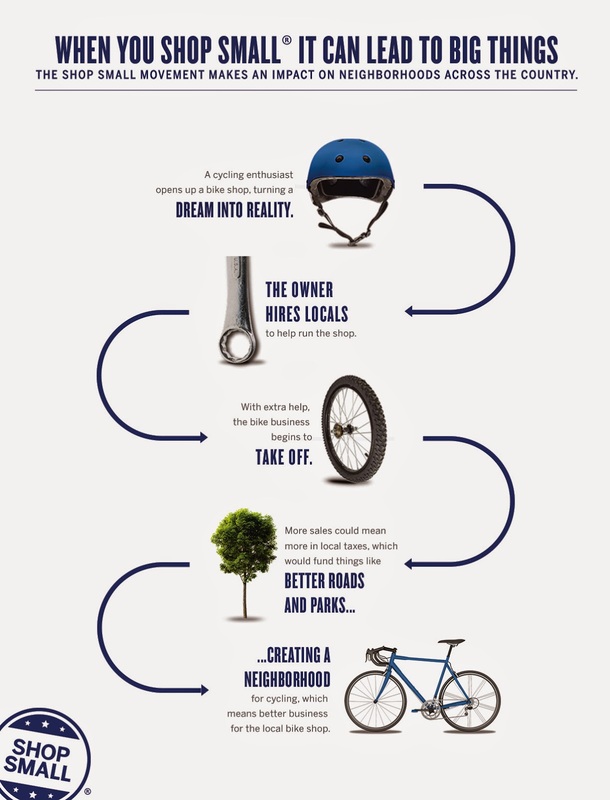 It makes sense on so many levels, economic, quality, community, etc. I am saddened by all the closures of small businesses in my area recently. So important to shop local! It really is sad because they don't have the capital that corporations have to keep their head above water sometimes. We have several small businesses where I live and they're doing okay because they've been around for 20+ years and the town people know them. I always shop local or etsy for Christmas! Great thoughts here! Pinned it! I really appreciate this message! My husband and I were just talking about this sort of thing with our kids this morning. It all started with the idea that Supermarkets did not exist 100 years ago. They were all "what?!?!" And we talked about how you used to buy your meat from the local butcher and your bread from the local baker. You went to the small hardware store when you needed nails and your produce probably came from your backyard. Can we go back in time please?